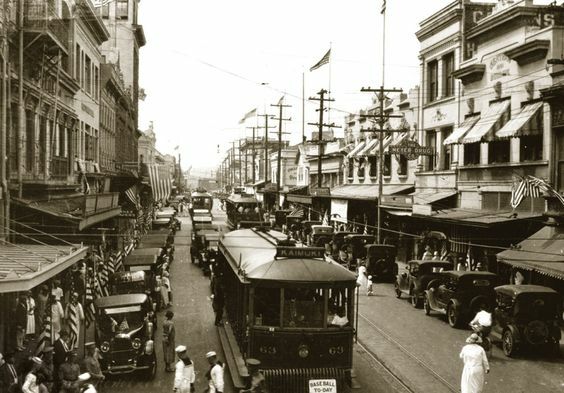 The Honolulu streetcar system just before about half of its length was abandoned. Operator: Honolulu Rapid Transit Co. LE Liliha - Emma Street Liliha - Liliha St. - Downtown - Emma St.
N Nuuanu Downtown - Nuuanu Av. - Puiwa Rd. Animal-drawn (mule powered) streetcars: 1888 - 1900. Electric streetcars (1st generation): 1900 (?) - 30 June 1941. 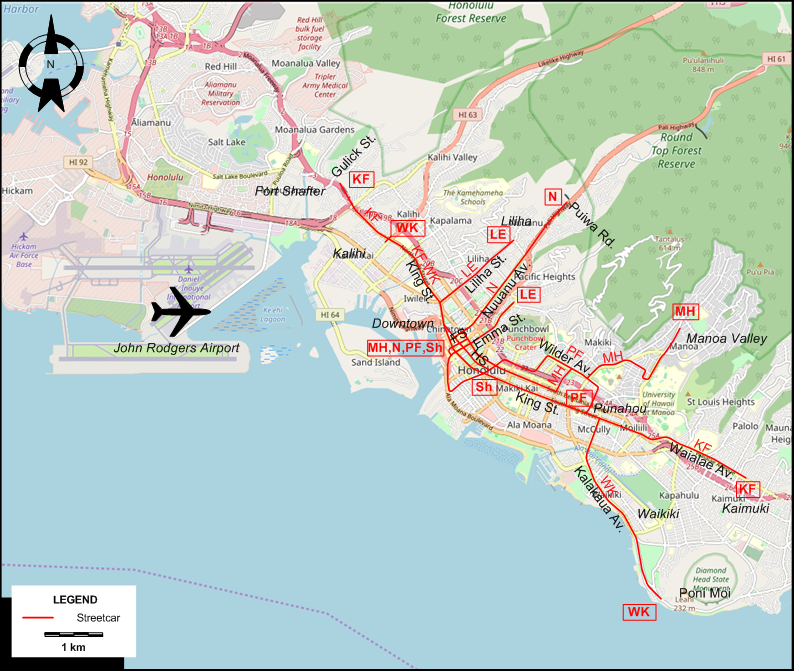 Honolulu Rapid Transit Co. A time schedule and list of routes. 1936. Melvin, R.S. & ramsey, R. Hawaiian tramways. San Marino (CA): Golden West Books, 1976. Special thanks to Russell Powers from Denver CO for information on the history of the Honolulu streetcar system.